Father’s Day is around the corner and we love giving thoughtful gifts to the amazing, supportive men in our lives. Whether you’re purchasing something for your own loving dad, the father of your children or just a special someone in your life, we’ve pulled together a list of our favorite products that are sure to put a smile on any man’s face. 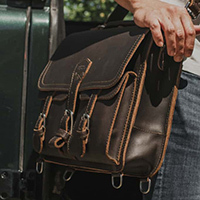 The ultimate office essential for any gentleman, whether he’s a corporate executive, an esteemed professor or a globetrotting adventurer, is a stylish and functional briefcase. So, if your dad (the father of your children or any special guy in your life) is sporting an old style computer bag or even worse, a backpack, it’s time for an upgrade. And we have found THE perfect briefcase: The Saddleback Leather Briefcase. With a tagline of They’ll Fight Over It When You’re Dead… that’s pretty much spot on. 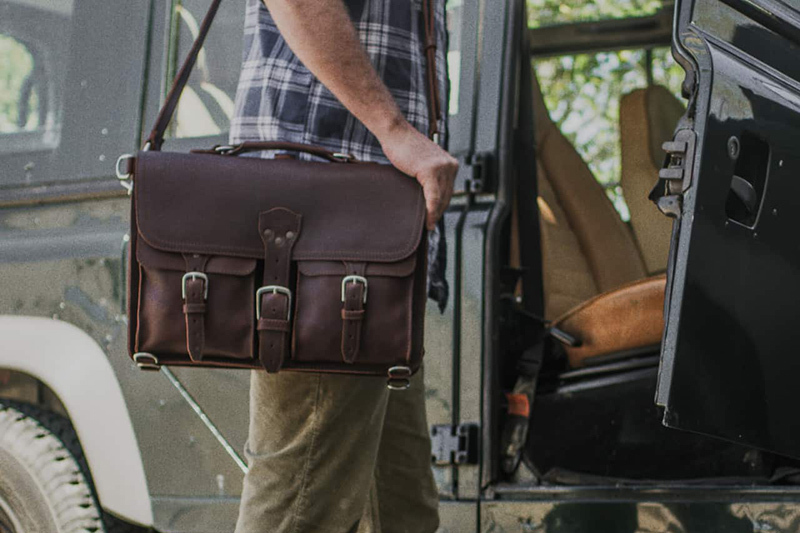 These beautifully crafted, high-quality leather bags are perfect for the office, the classroom or on his next road trip. We especially love the Medium Thin Front Pocket Briefcase in Chestnut, which has been tested and loved within the SharpHeels network of trusted advisers by a Venture Capitalist from New York, a Start-up Founder based in San Francisco and an Economics Professor from Oklahoma with an affection for travel and adventure. So, these bags are versatile and loved by professionals from coast to coast. Don’t be surprised if he’s stopped at a conference, while walking around town or during his next business trip and asked about his bag. These bags are absolutely beautiful and brag-worthy. A connected home is the wave of the future – manage your lights, air conditioner, security cameras and more all from your smart phone… and from anywhere in the world. At the core of your smart home, is an artificial intelligence unit like the Amazon Echo. The perfect gadget for dad on Father’s Day. If you weren’t able to secure one during the holiday season (because they were sold out! ), now is the perfect time to purchase one. This amazing device will play music, answer questions, read the news, report traffic and weather, read audiobooks, provide sports scores, and even order a pizza all using the Alexa voice command. 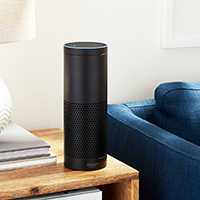 It’s also a great base for future gifts, once you’ve purchased the Amazon Echo, you’re setup to purchase add-on devices that will allow him to control lights, fans, switches, thermostats, garage doors, sprinklers, locks, and more. Watches have always been a favorite accessory for men, but now those accessories are getting smarter. They no longer just tell the time, they can track your diet, heartbeat, daily steps, running pace, and they even connect to your smart phone so you can read messages, access your alarm, etc. 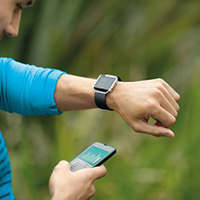 Our favorite sporty smart watches come from Fitbit – Fitbit Charge 2 Heart Rate + Fitness Wristband, Fitbit Alta Fitness Tracker, and the Fitbit Blaze Smart Fitness Watch. All great devices that go above and beyond telling the time and will help keep your dad fit and healthy. If your father prefers a more elegant look, more of a classic watch design than a sport watch, we recommend a Hybrid Smartwatch from Fossil. They look like your typical men’s watch but have a built in fitness tracker and the ability to receive notifications from your phone. 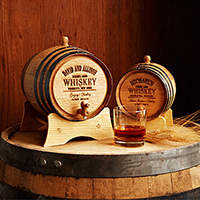 Personalized Whiskey Barrel – this miniature oak barrel ages spirits to peak flavor. Its petite proportions accelerate the aging process, meaning that the recipient’s choice of liquor will hit its prime up to ten times faster. Whiskey Glasses – Set of 4 – these glasses are printed with whimsical whiskey-inspired definitions. Perfect for your favorite whiskey connoisseur. Whiskey Chillers – they look like ice, but since they’re actually stone. They won’t water down your dad’s favorite glass of whiskey. Whiskey Tasting Kit – perfect for the man working on his whiskey tasting skills. Bourbon Infused Coffee – These 100% Arabica beans are infused in small batches with just a touch of Kentucky’s signature spirit, so he can enjoy the taste he loves in his morning coffee.